I'm excited to host a guest post today from Tiffany Monaco of Instructions Optional. Read to the bottom for a longer biographical note about Tiffany, who is expecting twins(!). Here Tiffany writes about how she adapts classic Southern recipes to be healthy and affordable, while still being delicious. As a Mom-to-be, I’m very interested in providing my children with healthy and flavorful eating options – and staying in budget by using printable coupons at my neighborhood grocery store. Feeling inundated by talk about high-fructose corn syrup and its presence in so many foods, I began to research healthy cooking options that would appeal to my family and their taste buds. I grew up with some dietary alternatives, like putting plain yogurt instead of sour cream on baked potatoes, and wanted to bring the same flexibility to the Southern recipes I love so much. Mix the mustard, garlic, Tabasco, and buttermilk together. Cover and refrigerate for a minimum of 30 minutes and a maximum of eight hours. (This is very handy for days when I have time in the morning to start, but not finish, dinner preparations.) When the marinade is ready, coat your chicken pieces and set aside. Combine the baking powder, dried basil, flour, cumin, salt, and pepper in a paper bag. 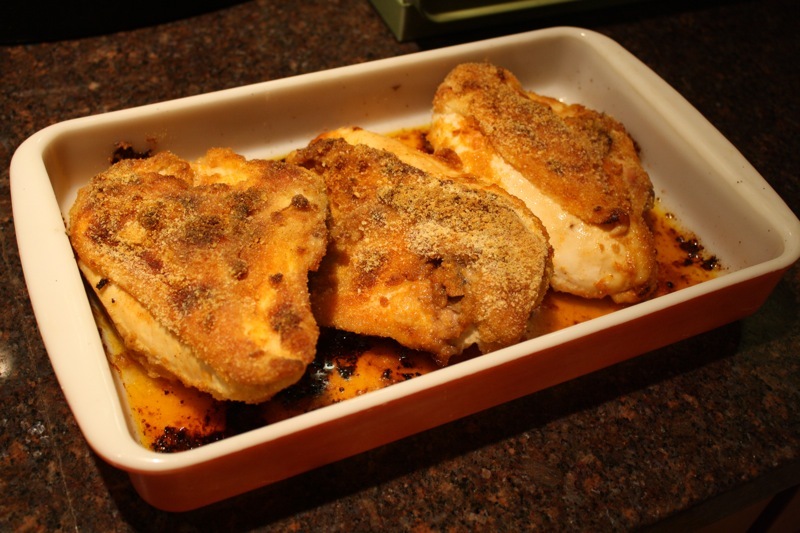 Take each piece of coated chicken and toss it around in the dusting powder. Mist each piece of chicken with cooking spray and place in baking dish. Bake the chicken until it is golden brown and there is no pink in the center. This should take 40-50 minutes, depending on your oven. I have loved sharing this recipe with my extended family at various gatherings. The original and altered versions have both been big hits – the latter especially so when cut into finger-friendly chicken strips. I like to combine the dish with collard greens, which are low in calories (just watch the butter when preparing them) and chock-full of minerals like iron, calcium, and zinc. I’m glad that my parents taught me healthy eating tips when I was a kid, like appreciating vegetables without a heap of cheese on top. I fondly remember my mom cooking up spinach and being pleased when my siblings and I took to it without a second thought. (It helped that she’s a great cook!) I hope to pass on what I’ve learned to my children. One of my concerns as a parent-to-be was providing the occasional treat for my kids without sitting them down in front of ice cream sundaes as big as their heads. 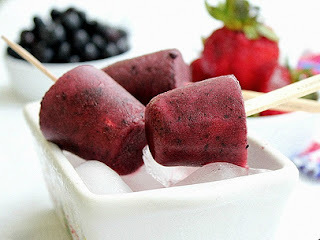 I think I’m going to try berry popsicles, which are extremely easy to make and low in sugar. While they aren’t exactly Southern, the recipe does remind me a little of something classic like a mint julep. Two cups of fresh or frozen berries – any kind you like! As with any recipe, you’ll want to finesse this one for your palate. I like tart desserts, so the amount of lime juice works well for me. Blend all your ingredients together in a blender and fill popsicle molds, leaving enough room to prevent spillage. (I’ve repurposed individual yogurt containers for this dessert and found it works well.) Pop on lids, insert sticks, and come back in about four hours for a tasty treat. I really can’t wait until my kids are born and old enough to try out the recipes I am discovering. In the meantime, I’m certainly having fun learning about healthy (and healthier) alternatives to serve them at the dinner table. Finding so many recipes that reduce fat, sugar, and calories but preserve flavor makes me feel better about cooking… and parenting in general. Tiffany Monaco is an elementary school teacher and mommy-to-be of twins who lives and loves in the deep South - Louisiana, to be exact! When not teaching, she spends her time blogging, cooking Cajun foods, working on her novel, and doing home improvement projects. 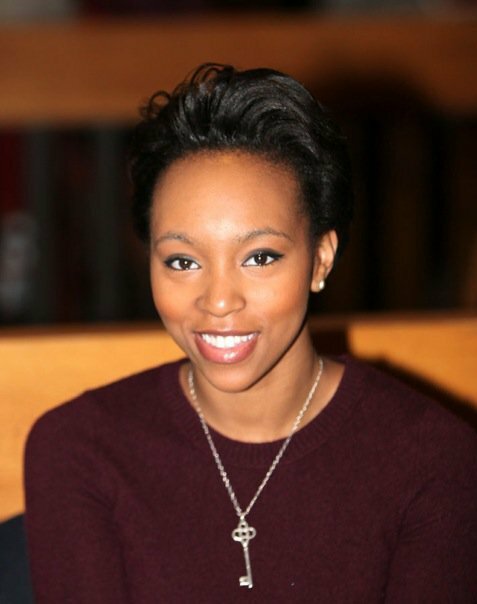 Find out more on her blog at Instructions Optional or follow her on Twitter @tiffmonaco.